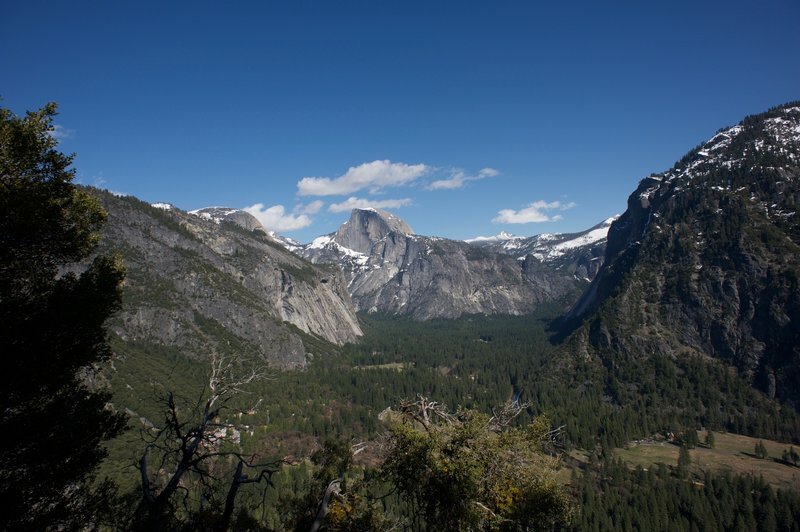 The view up the Yosemite Valley. North Dome on the left, Half Dome in the middle, and the Glacier Point on the right. Great views open up in this section of the Upper Yosemite Trail.